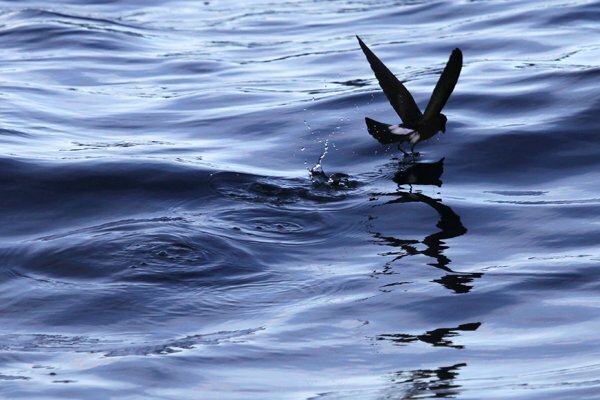 I like pelagic birding. Being on a boat surrounded by the endless blue of the ocean is a wonderful experience, especially when the waves aren’t too high, the sun isn’t too bright, and the birds are showing. 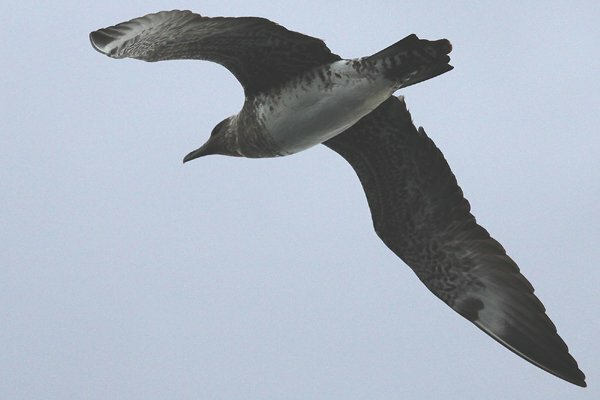 On the recent (16 September 2012) pelagic trip out of Freeport, New York with See Life Paulagics the waves weren’t too high, the sun wasn’t too bright, but the birds, at least the really good ones that we were hoping to see way out in the Hudson Canyon, failed to show. Our boat left the dock at Freeport at just short of 1 AM and we steamed out to sea, a boatload of birders trying to find a way to fall asleep in the unfamiliar environment of a rocking boat. I slept fitfully, off and on, and each time I woke up I sat up and stared at the sky, hoping to see the first light of dawn. Finally, on about my fourth awakening at shortly before 6 AM, the sky had started to lighten. 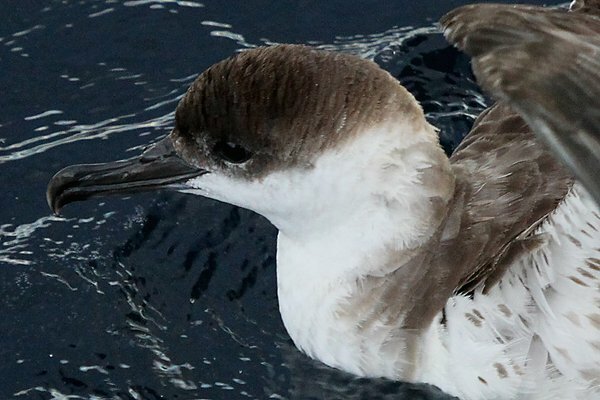 Birders rubbed the sleep out of their eyes, drank some coffee, and gradually made their way out of their sleeping bags and to the railings of the boat where we desperately tried to identify the shearwaters rising off of the water as our boat steamed past. It was not easy considering that it was still dark. All I managed to identify were Great Shearwaters but I learned later that several birders managed to find a small group of Audubon’s Shearwaters, a frustrating miss of a lifer for me but understandable because the lack of communication on the boat until all the leaders were up with their radios operating so that information could get from point to point on the boat. Other than a couple of Cory’s Shearwaters we would see no other shearwater but Great Shearwater for the rest of the day. 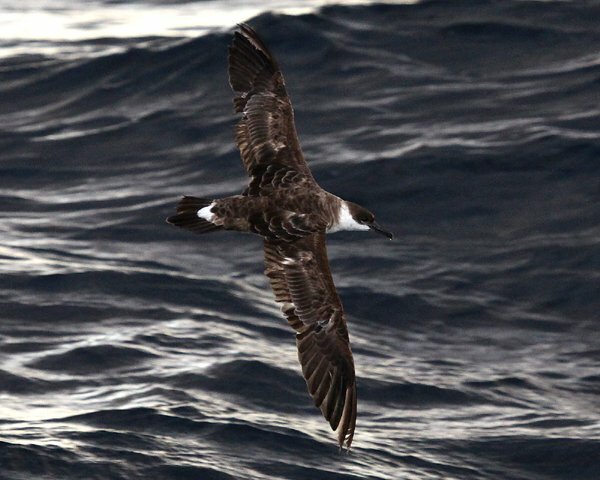 But we did see a lot of Great Shearwaters! 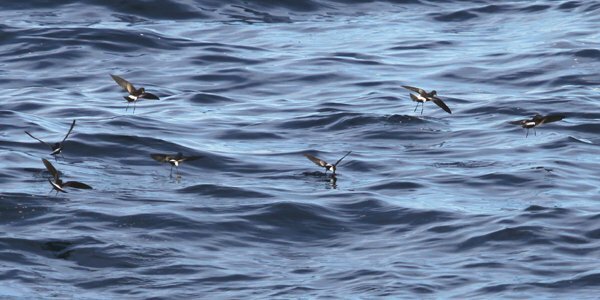 The other pelagic bird that we saw in numbers on the chum slick we created was Wilson’s Storm-Petrel. 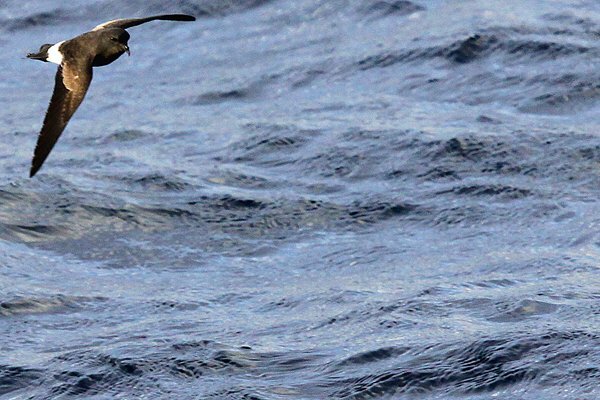 There were lots and lots and lots of Wilson’s Storm-Petrels. And though some claimed a Leach’s Storm-Petrel few birders saw it. I can say for sure that I never got on it. 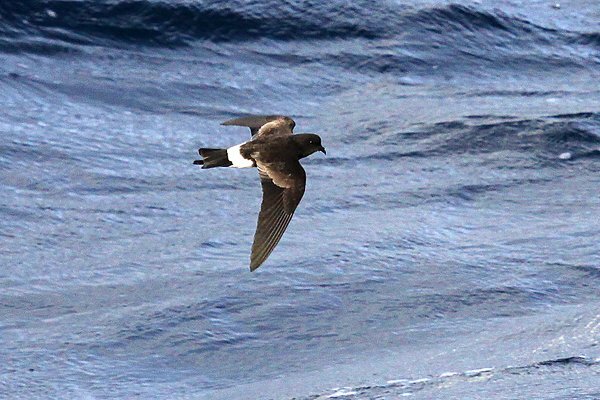 Wilson’s Storm-Petrels are joy to watch but I would have appreciated some diversity. I was looking the opposite direction of where he was pointing but his warning gave me ample time to turn around, find the bird, and fire off twenty or so shots as it flew toward me and then directly over my head. Finally, I have all the jaegers checked off my New York State checklist! Not only that but I have a couple decent shots of a Pomarine Jaeger as well. As we were working along the chum slick we were distracted by a pair of Red-necked Phalaropes and followed them until they landed. The captain maneuvered the boat for a decent view but I blew most of my pictures. Still, you can see one of the two in the image below. Then we inexplicably left our chum slick and behind for good and made our way over to some fishing boats to see what was following them. Sure, there were a ton more Great Shearwaters, and among those shearwaters we found a couple of Cory’s Shearwaters and a single Parasitic Jeager but quite a few of us were dismayed at having left behind the fish oil and seafood parts that we had hoped would draw in the rare seabirds we really wanted to see. From the fishing boats we spotted lots of water in the air, both from a whale breaching and blowing. 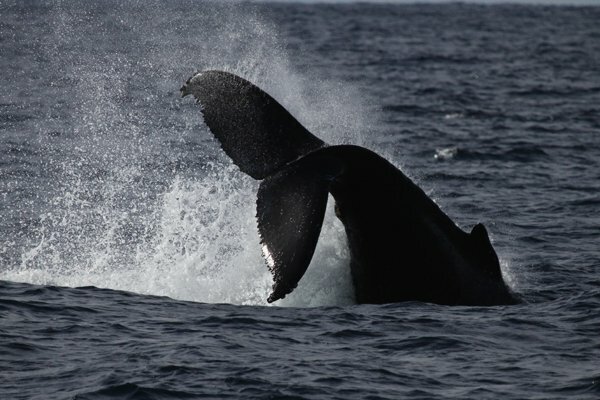 We tracked it down and had a great show of a Humpback Whale breaching repeatedly, one of two in the area. Easily the highlight of the trip, it was one of three cetacean species we would see for the day, the others being Atlantic Bottlenose Dolphins and Common Dolphins. 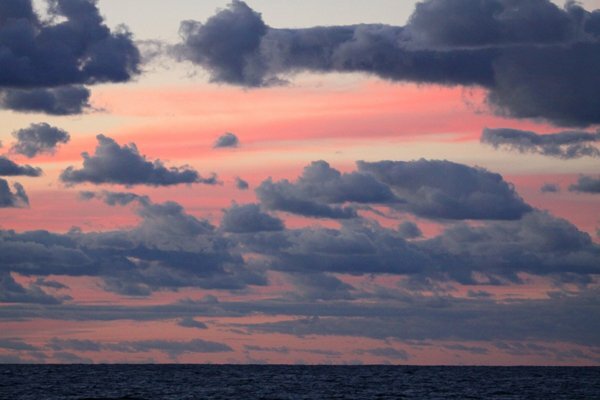 Being out on the water is great, even when the birds are only so-so. After our whale experience we motored back to land, a six-hour ride through the wasteland that is the waters between the coastal zone and the deep water of the Hudson Canyon. You know it is bad when that entire time our highlights were several bats, lots of Monarch Butterflies, a Northern Flicker, and a Purple Finch, all blown out to sea during their migration by the strong northwest winds. Even worse was that we actually arrived back to shore early, not to cool considering we could have spent more time in the deep water, only to find that the guy who operates the drawbridge on the Loop Parkway was not at his station so we had to wait nearly an hour for him to get back so we could make our way to port. Ouch. Well you saw a couple birds Ive never seen before (both shearwaters pictured), and got some quality shots…hopefully that will make you feel a bit smugger. It seems you are “complaining on a high level” as we say in Germany. Pom and Parasitic (Arctic, for sure? 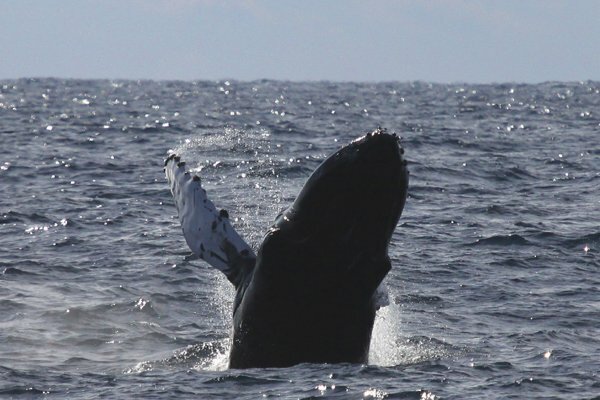 ), the phalarope, Wilsons’s Stormpetrel, Cory’s & Great Shearwater, Humpback whale,… Not a bad day at ALL. At least for this little inland birder here. Cheers, mate. And to be honest: I would have not begrudged you the Audubon’s, even during our competitive year. 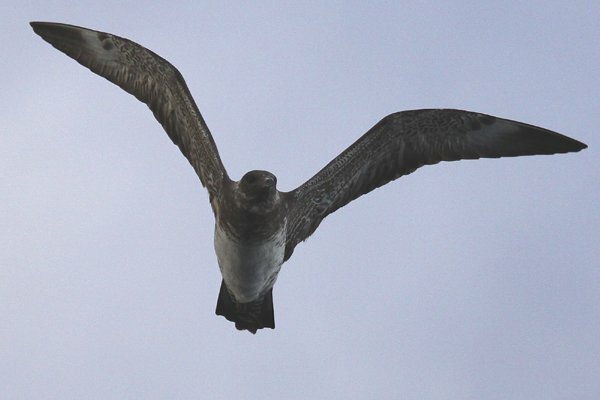 And I am surely wrong, but the bird on your third Storm-petrel picture appears to look different. 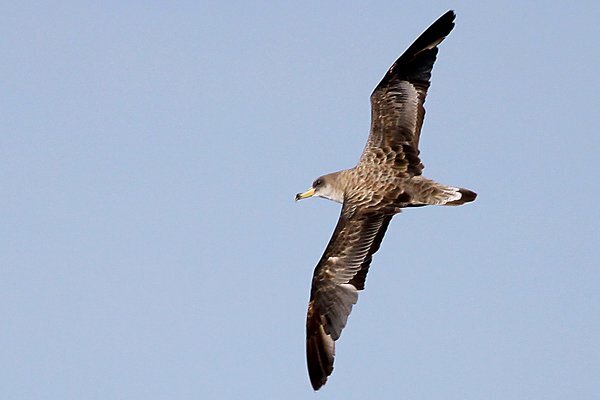 The Giving Birders: Are They Out There? Where Are You Birding This Second Weekend of July 2010?